Derek began his cycling career as a BMX racer in the 1980’s. He also had a role in the manufacturing side of the cycling industry by helping to develop and test products that contributed to the evolution of the sport and its technological advancement. Derek is on the USA Cycling board of trustees and is dedicated to the progression of the sport. 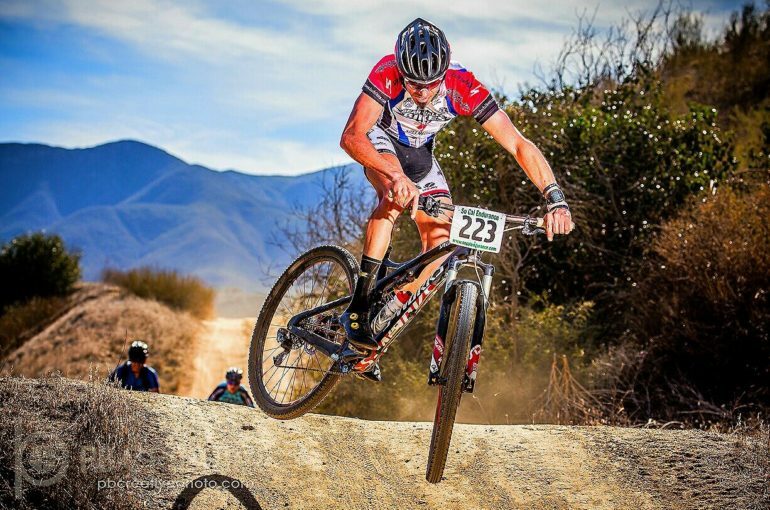 He currently races professionally in XC, Super-D, CycloCross and Downhill, and was inducted into the Big Bear Mt.Bike Hall of Fame in 2008, gaining recognition as a leader and avid supporter of the mountain biking community. Derek became president of Team Bear Valley Bikes in 2000 and led them to win the Rim Nordic Series “team of the decade” in 2010.